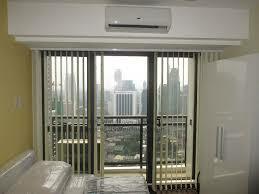 Since many new condo developments today have floor-to-ceiling windows, they can pose to be challenging for decorating. You will likely be restricted in your choice by the rules of your condo building. Other restrictions will likely be imposed by the construction of the windows, for instance whether your window coverings can be wall-mounted or must be ceiling-mounted and not to mention there’s always the question of budget. There are so many options for window coverings and that can be overwhelming when you decide to start looking. You should start in your search for the right window treatment by asking relevant questions and you might want to consider talking to a designer for some advice as well. Answering these questions might help you to focus and eliminate some of the frustration and concerns. Are you concerned about privacy? If privacy is a big concern, you will want window coverings that let you shut out the unwanted gazes of neighbours and anyone passing by, as well as shielding you from unwanted glimpses into neighbours’ living rooms. Are you concerned about heat gain and loss? Maybe your condo’s windows have built-in solar screening technology to control this problem. If not, you will want to look at specialty products to help you save on your energy bill. 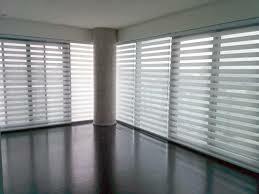 Are you concerned about glare and the bleaching effect of the sun? 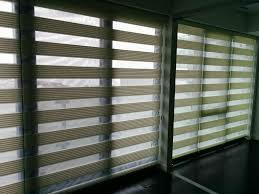 This will affect both your choice of style and fabric for the window coverings. Natural fabrics like cotton or silk will fade and even crumble with prolonged exposure to direct sunlight. If you must have silk drapes, be sure they are well lined. Are you concerned about obstructing your view? If so, don’t choose a window covering that blocks or in any way competes with that view. Instead, choose something that frames and calls attention to the view. Are you concerned about upkeep and maintenance? Unless you intend to hire someone to clean for you, it’s probably best to avoid a window treatment that requires frequent dusting and cleaning. How much can you afford? You can get anything you want, if you’re willing to pay for it, so just keep in mind that going with a company who is offering a cheaper price is not always the better way to go. Contact DC Shutters for Condo Blinds in Brampton, Oakville, Kitchener, Waterloo, Hamilton, Niagara, Toronto, Richmond Hill, Aurora, Newmarket, Ajax, Whitby, and Oshawa.